There's not a lot of nuance to discuss with this cereal. 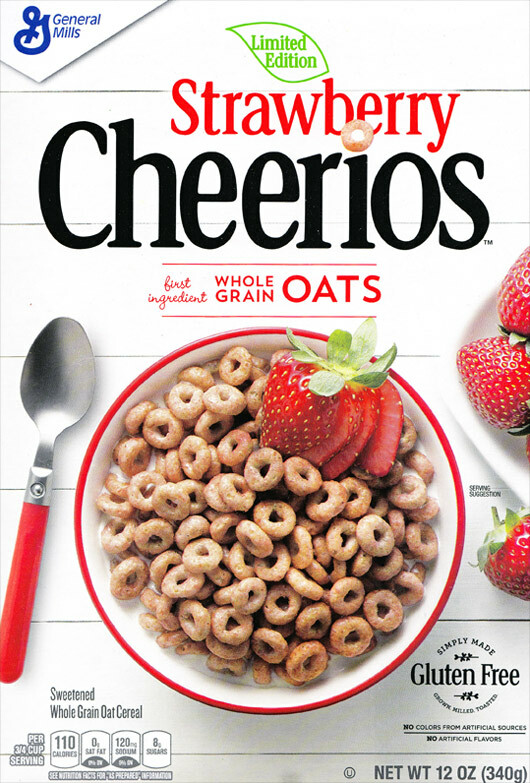 It's just Cheerios infused with strawberry flavor from real strawberry puree. It's sweeter than original Cheerios and not quite as sweet as Honey Nut Cheerios. Mainly, I found myself wishing that the strawberry flavor was more bold. 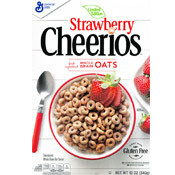 This is a decent cereal and the strawberry does taste authentic... but... it had me thinking about past Cheerios varieties with strawberries that were better than this variety. Berry Burst Cheerios (which came in a Strawberry version and a Strawberry Banana version) had freeze-dried strawberries. In that cereal, you had pops of strawberry flavor that grabbed you by the taste buds and shouted, "Strawberry!" In this new cereal, the strawberry flavor is muted and every spoonful tastes exactly the same. In contrast, this cereal sort of lamely pets your taste buds and whispers "strawberry" like a hypnotist might say "you're getting sleepy." 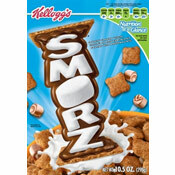 When tested with toddlers (specifically one 2 year old girl), this cereal lost out to original Cheerios and Pumpkin Spice Cheerios when all three were offered at the same time. Bottom Line: Strawberry Cheerios is nice to try. Once. Nutritional Considerations: Each 3/4 cup serving with skim milk has 150 calories, 3 grams total fat (0 saturated and 0 trans), 0 mg cholesterol, 120 mg sodium, 22 grams total carbs, 2 grams dietary fiber, 8 grams sugar and 2 grams protein. What do you think of Strawberry Cheerios? Strawberry Cheerios is very good and tasty too. Often unable to find it in the stores except at Walmart and not too often there either.